The V International Conference on Media Ethics held at the University of Seville has become an international reference event for submitting research projects and initiatives related to the deontology of journalism and media responsibility. The four previous editions (2011, 2013, 2015, and 2017) have been recognized by the attendees for their scientific quality and the fruitful academic and personal exchange. This fifth edition is organized by various universities, with a committee of professors of recognized prestige from the University of Seville, the Autonomous University of Mexico State, Autonomous University of Barcelona, Pompeu Fabra, Beira Interior and La Sapienza of Rome. Among the speakers, the organizers hope to have Professor Emmanuel Derieux (Sorbonne University), and Professor Hugo Aznar (CEU-San Pablo University of Valencia). 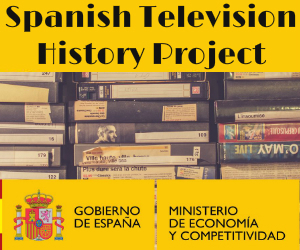 Submissions of the full manuscript of the proposal is expected at the email address: mediaethics@us.es. For the authors who wish to include their articles as a chapter of the Conference Book, the text must follow the established style guidelines. The authors can also send their proposals even if they do not wish to publish them. The deadline to submit the proposals is February 28th , 2019. Those received beforehand will be reviewed by the Scientific Committee within a maximum period of three weeks. For further information visit the conference’s website.